The train drivers union ASLEF have confirmed to ITV News ​that almost​ one thousand members who work for Southe​r​n railways will begin an indefinite overtime ban from Sunday. It means passengers face a new wave of misery with hundreds of services cancelled every day for weeks, or even months. The dispute over driver only trains has caused more than a year of chaos and forced passengers to lose jobs, homes and marriages to break up. Drivers work on average one days overtime a week which the company rely on to maintain services. Without it many trains will grind to a halt. On the so-called 'train of shame', the 0729 Brighton to Victoria, which was late every day for a year there was anger at the news. "It is just unbelievable this dispute is still going on and continues to cause misery. I know people who have been forced to move and even split up because of the pressure caused by this total chaos. Neither side has any compassion for passengers. They are all a disgrace,"
"The last few weeks have seen services improve. I am in disbelief this whole year of misery is about to start again. No one seems to care and that is the reality. It is just chaos." ITV News understands the union aims to cause maximum disruption to hundreds of thousands of passengers to ​force Southern "back to the negotiating table." They say it is a direct response to "imposed changes in terms and conditions." ​It is thought ​Southern will try to operate ​as many as seventy five per cent​ of services but that would mean up to one in four trains - 600 a day - cancelled causing major disruption. ​ The company say they are still "finalising plans" for services from midnight on Saturday with just one working day to go before the action starts. It means ten days after it was first announced passengers still have no official guidance as to exactly what services will run. ASLEF have instructed their driver members not to work overtime from 00:01 on 4th June. If this action goes ahead we will run as full a timetable as possible and we are working around the clock to evaluate the impact and develop our contingency plans. We will publish information here as it becomes available. Months of talks between the union and the company have failed to resolve the long-running dispute over driver only trains. The other union involved, the RMT, is thought to be about to announce another strike day​ adding to the misery​. They represent guards. For the last few weeks services have been running as normal with peace talks taking place but the industrial action action is starting again after they failed to reach an agreement. "We have made it clear that our dispute with Southern is a dispute with Southern Rail. It’s not about bringing down the government – despite what a few badly-informed Tory backbenchers like to claim – and it is not a dispute designed to undermine the GTR franchise. It is also not a dispute in support of another trade union or another grade. The dispute centres on ​DOO - ​Driver Only Operation. 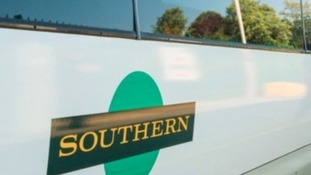 Southern agreed to roster a second person on every train, that had one before the dispute began, ​and ​the ​ASLEF ​union ​executive ​agreed that in "exceptional circumstances" a driver alone could operate a service. ​But t​hat ​was ​rejected ​by union members ​and ​has ​put the dispute back to square one. The "exceptional circumstances" include a conductor or on-board supervisor (OBS) as many are now called being sick or late for a train because of disruption. Southern wants the change so it no longer has to cancel some trains disrupting passengers. Drivers will continue to close train doors. The changes have now been implemented. The difficulty in resolving the dispute has been the issue of a guaranteed second member of staff on trains. The RMT union insists a conductor should be on every train without fail and that services should not run without them. They say the second member of staff should be "safety critically" trained. They say without them passenger safety is at risk. Southern say it is perfectly safe to operate a train with just the driver as around half of all services in the country are DOO. They say only on relatively few occasions will there not be a conductor and it is better to run the service than cancel a service and disrupt passengers. They insist there will be no job or pay cuts. The company has agreed to keep under review, and do all it can, to improve the quality of CCTV images from doors in the drivers cab after concern they could be difficult to see in bad weather. On some occasions the OBS can help dispatch a train and Southern say they are safety trained.